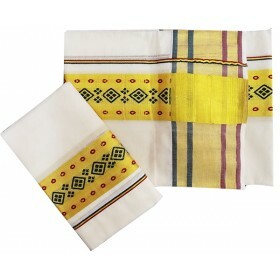 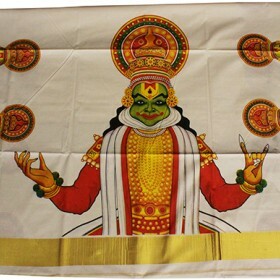 Latest kerala mundu brocaded with 3 cm kasavu is special design by the hand woven traditional costum..
Amazing tradition wear with a special attire to give a new fusion look in our Kerala saree with most exciting hand painted design. 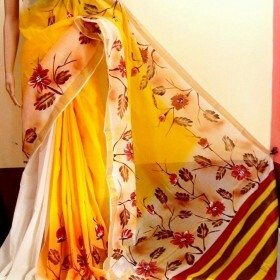 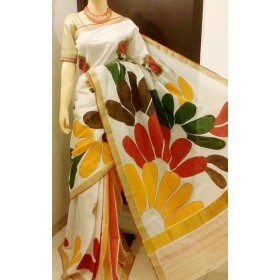 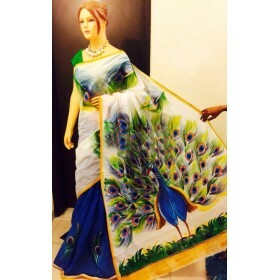 This is pure cotton half saree model saree having Ganapathi hand painted design on pallu which makes it more attractive. 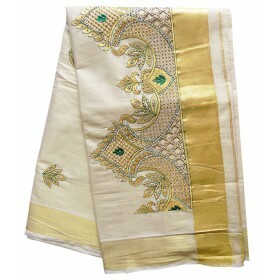 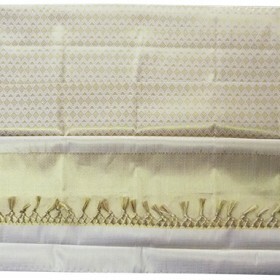 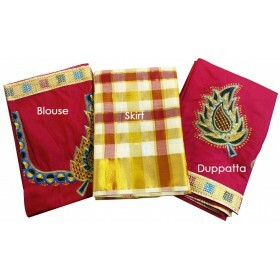 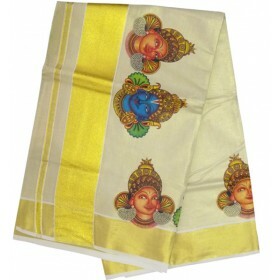 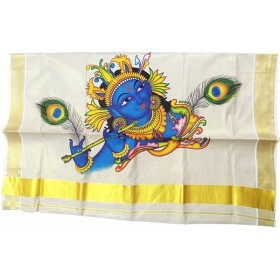 On top fleet we have yellow color and on the border it is hari Om hand painted design makes gorgeous. 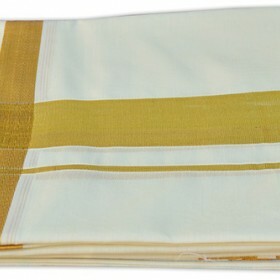 Bottom fleet it is plain yellow with border of hari Om and green color. 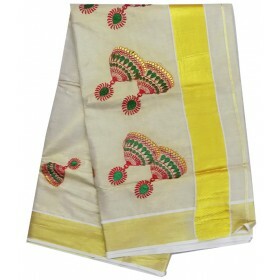 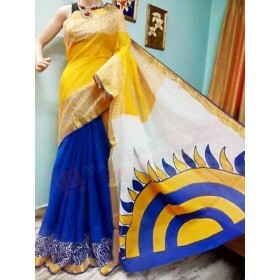 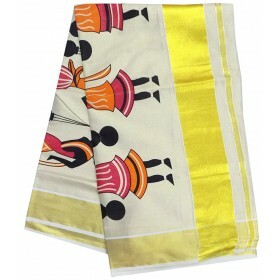 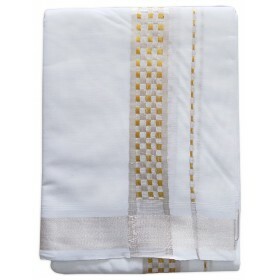 It will be a best ethnic wear for all festivals to glam up you.